Tommy Hilfiger released a new line called Tommy Hilfiger Adaptive, which features clothing comfortable and easy to wear for all individuals, according to Buzzfeed. These clothing items were designed for the physically disabled and they cater to these individuals’ specific disabilities. This line is an extremely progressive step forward for the fashion industry in designing clothing for all types of bodies. Tommy Hilfiger Adaptive is not only inclusive in its nature, but also features items for men, women, boys and girls. As a result, all differently-abled individuals are able to purchase these items. Such an invention was a collaboration with the Runway of Dreams Foundation, which was “founded in 2014 by Mindy Scheier—a fashion designer and mother of a child with a disability,” according to the RODF website. The organization is committed to creating and advocating for “charitable initiatives to broaden the reach of adaptive clothing and promote the differently-abled community in the fashion industry,” according to the RODF website. The Tommy Hilfiger collection is described on its website as “Inclusive design. Fashion for all.” It features “modified closures and adjustable details,” explaining that “getting dressed should be the easiest part of your day,” according to USA Tommy. This is absolutely essential and important to address. Often, physically disabled individuals face many struggles; however, getting dressed is something that is frequently overlooked. While buying and wearing clothing is something so basic, making this experience easier or more fun for individuals will greatly improve their day. Although the fashion industry has become increasingly inclusive by making clothing for different body shapes and sizes, this step is very necessary and a long time coming. Brands must continue to accommodate all types of individuals and celebrate diversity, as opposed to streamlining designs to a specific type of consumer. Furthermore, Tommy Hilfiger is empowering disabled individuals by also featuring powerful and successful individuals such as “Paralympic gold medalist Jeremy Campbell, dancer Chelsie Hill, motivational speaker Mama Cax, and chef Jeremiah Josey” in the Adaptive campaign, according to Buzzfeed. It is extremely impressive that a big brand like Tommy Hilfiger is leading the industry in creating this type of line. 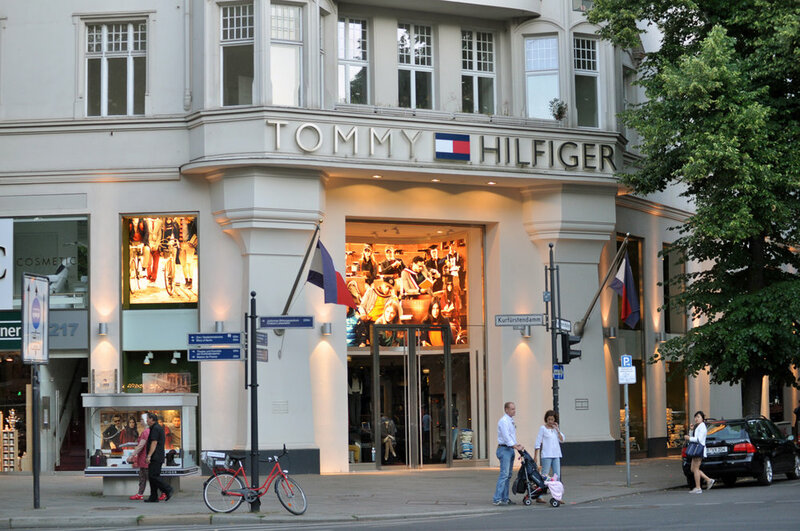 Tommy Hilfiger is a well-respected brand and often seen as top tier in terms of innovation and style. Hopefully, this company will inspire other brands to follow its lead. Due to the fact that Tommy Hilfiger is a luxury brand, the pieces featured in the Adaptive line are quite expensive. That being said, the options are versatile and feature modifications that will allow disabled individuals to wear the clothes with ease. In addition, the prices are not far off from the pre-existing corresponding item in the Adaptive line. Such feedback is so refreshing to hear. Many individuals will benefit greatly from clothing that is conscious of the way different people get dressed in the morning. It is essential that more brands take cues from Tommy Hilfiger and create more all-encompassing clothing. Additionally, charity organizations like RODT must continue to advocate and partner with popular mainstream fashion brands. The fashion industry needs to become increasingly diverse and this is an incredible step in the right direction. Hopefully, the future of inclusive fashion is a bright one.